Should I Get the Plumbing Checked Out in My Future Home? When you buy a new home, you have to make sure that it is in proper condition. While the house may look shiny and new from the outside, there may be a myriad of problems that will go undetected unless you look for them. Therefore, you need to make sure that you do a thorough plumbing inspection to make sure that you know about the problems a home may face or not face before you close on the purchase. Getting hot water is more than just turning the faucet and waiting for the water to warm up. Instead, it is heated in a large tank that is located in your basement or some other out of the way part of the home. If there are any problems with this tank, you will either get lukewarm water or you will not get hot water at all. This can make it impossible to take a shower, wash dishes or boil water for cooking. In addition to a lack of hot water, a faulty water heater can cause flooding in your basement. Water damage that isn’t taken care of immediately can allow mold and mildew to grow throughout the home. It can also cause cracks in the home’s foundation that may cause the home to tilt. Finally, a water heater that is under too much pressure could actually rocket its way out of your home. It will go through all of the floors above it, through the roof and could land almost anywhere causing extensive damage to your yard or a neighbor’s house. The good news is that checking the water heater only takes a few minutes, and replacing it only costs a few hundred dollars. They generally last for 10 years and come with a warranty that will protect your investment for the next several years. When inspecting a home, take a few seconds to flush the toilet. 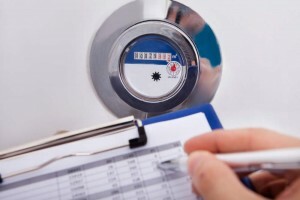 This will help you verify that there is appropriate water pressure throughout the home. It will also prove that the pipes work properly and that there are no clogs or backups to deal with. If you notice any roots or other debris inside the toilet itself, you may need to remove them and do a more thorough check. Roots could grow throughout the piping in your home and extend all the way to the septic tank or wherever the sewage drains away from your property. As putting in new pipes or replacing your septic tank could cost thousands of dollars, it is important that you know about this issue ahead of time. Should there be an issue with the toilet or the pipes going to and from it, you should ensure that the matter will be resolved before agreeing to buy the home. Water that is not clear when it comes out of your faucet or does not appear clear inside of the toilet could be a sign of a mineral problem. The good news is that discolored water due to mineral issues will not pose a health problem. However, that assumes that you simply have a buildup of magnesium or iron in the water. Another possibility is that your pipes are rusted or breaking down and are releasing minerals into the water. This may be a sign that you need to replace your pipes to ensure proper water flow. Older pipes are at a higher risk for freezing or exploding. Pipes that have cracks or any kind of structural defects may also be at an increased risk for leaks or other problems. To get rid of the discoloration, you may need to install a water softener that will dissolve or get rid of the minerals. Over time, you should see the color go back to normal when you take a shower or turn on your faucet. If the problem lingers, you may want to consider replacing your pipes. Improper pipe construction can lead to serious issues. If there are gaps between individual pipes, cracks in one or more pipes or pipes are not securely attached to each other, you may see leaks throughout the home. While the leaks you can see can be fixed with ease, there may be leaks and drips in areas behind walls or within insulated areas that you cannot see. Unless you look for and fix those issues, you can’t be certain that you aren’t providing an environment for termites, carpenter ants or other pests to physically eat your home from the inside out. Prior to buying a home, make sure that you give it a proper inspection, which includes looking at the pipes inside of the property. If there is discolored water, the toilet doesn’t work, or the water heater is having issues, you may want to work with the owner to figure out who pays for replacing those components. Even if you have to pay for that work to be done for you, at least you are now aware of it and can make the fixes before the problem gets worse. To get a plumbing inspection of a potential home in Annapolis, MD contact Heidler, Inc. at (410) 268-7191.